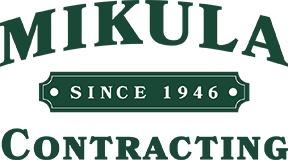 Mikula Contracting, Inc. maintains full insurances and certifications as a commercial snow removal company serving northern New Jersey. We have over 70 Years of Service and Experience in the snow plowing industry. Contacting Mikula Contracting, Inc, will give you the satisfaction of freshly plowed snow while in the comfort of your home. Being a local commercial contractor, we aim to service the communities in northern New Jersey. We provide fair commercial snow removal prices and contracts. Whether you need emergency snow removal services or a consistent removal contractor, our professionals will work with you to satisfy all of your snow plowing needs. Our state-of-the-art commercial removal equipment will help keep your businesses running smoothly during the snowy winter months.